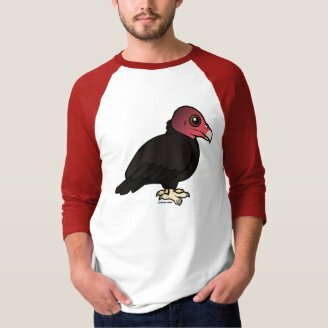 Today's featured Birdorable cute bird t-shirt is this Turkey Vulture organic women's top. We recently added several new organic apparel styles like this one; you can see all of our organic apparel here. Speaking of vultures, International Vulture Awareness Day 2009 is coming up on September 5th. The purpose of this event is to highlight and promote vulture conservation and awareness. As part of this special day there will be a blog carnival which welcomes anyone and everyone to participate. We are very proud to have our Birdorable Black Vulture featured on the blog carnival's badge! 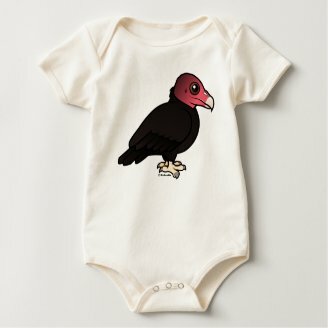 A new Birdorable for Vulture Awareness Day!